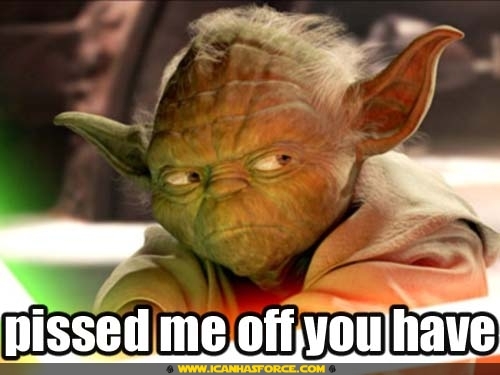 Star Wars Yoda. Cute & cuddly. No resemblance to armed militant. By now, you’ve all heard of the shocking attack on PNS Mehran, Pakistan’s largest naval base this past Sunday in Karachi. Armed militants stormed the base, using ladders to scale the back wall of one of Pakistan’s premier naval air stations and destroy two U.S.-supplied P-3C Orion maritime surveillance aircraft. The base was “recaptured” by Pakistani security forces after a 17-hour gun battle, during which 10 personnel lost their lives, and 15 were injured. Lieutenant Yasir Abbas, who was killed leading a counter-attack against the attackers, is being hailed as a national hero. 17 foreign personnel – six Americans and 11 Chinese – were on the base at the time of the siege, but escaped without harm. 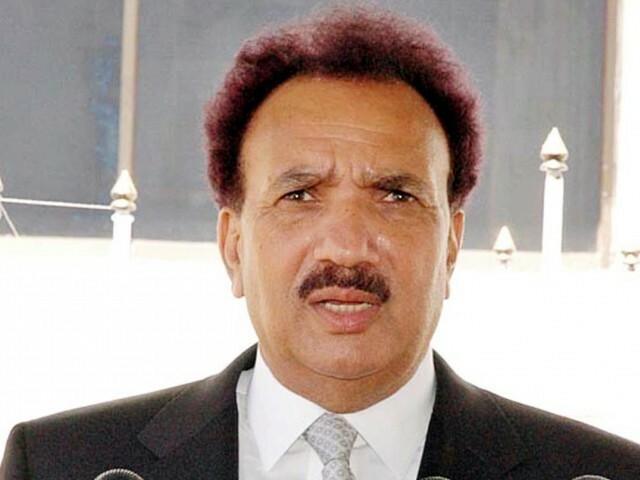 Interior Minister Rehman Malik refuses to admit that the attack was a serious breach of national security, and said it was due to an intelligence failure by the Air Force and Navy (via Al Jazeera English). Malik said “external elements” (*cough* India/Zionists/Blackwater *cough*) may have been involved with the militants, although he did not provide evidence supporting this claim. Rehman Malik is an idiot. A police report released after the attack said 10-12 militants were involved, although Pakistani officials (including Malik) said “up to six” were involved in the incident. Sources say two of the attackers escaped, rather than being killed as was previously reported. Why did it take 17 hours for security forces to regain control of PNS Mehran? After all this loss, how can anyone still claim that this is anything but our war? How can anyone credibly claim that the enemies are conspiratorial foreign hands? How? U.S. & Pakistan: I just can't quit you. Pakistan-U.S. relations should go forward on the basis of mutual respect, mutual trust and mutual interest. But as much as U.S. senators question sending aid to Pakistan and toy with the carrots and sticks they keep lobbing that way, they ultimately don’t want to do too much to jeopardize that relationship. But not because it’s one based on mutual respect. It’s because it’s based on mutual BS. The U.S. has always viewed Pakistan as a strategic ally, while Pakistan has developed a cloying dependency on American aid. To call it mutual would be a fallacy. The current status quo in U.S.-Pakistan relations can best be described as transactional, opaque, and more often than not, hanging in the balance. Washington and Islamabad, as much as they’d really, really like to, just can’t quit each other. U.S. - Pakistan Relations: Like Jenga! During Senator John Kerry‘s visit to Islamabad this week, the lawmaker, dubbed by delusional Newsweek editors as the “Pakistan Whisperer,” made the grand gestures that meant almost nothing at all. According to the LA Times, Kerry delivered a very “stern message,” noting that Washington “would not tolerate Pakistan providing sanctuary to Al Qaeda and allied militant groups that target Western interests.” He said that both Washington and Islamabad had agreed to go against “high-value” targets. But according to the Wall Street Journal today, the ISI is reportedly pressing the Haqqani network to join the nascent Afghan peace talks, mostly likely due to their desires for strategic depth in Afghanistan, as well as the network’s presence in North Waziristan. A Pakistani defense official told the WSJ that the Haqqanis can’t just be “taken out” like Al Qaeda operatives because they are part of the fabric of eastern Afghanistan and North Waziristan. He argued that the Haqqani network must be won over by talks, despite U.S. resistance to do so. In light of this, can Washington and Islamabad genuinely work in each other’s mutual interest when much of their interests aren’t aligned? Today, more than 80 paramilitary soldiers were killed when at least one suicide bomber blew himself up at a military training center in Charsadda. At least 115 people were wounded in the bombing, labeled by the NY Times as, “the first major terrorist attack since the American raid in Abbottabad on May 2 that killed Osama bin Laden,” and by other outlets as the deadliest attack in Pakistan since last November. In a Parliamentary session today on the bin Laden operation, ISI Director General Pasha (who may or may not be resigning) admitted to intelligence negligence but not failure regarding the U.S. raid that killed OBL. There is a terrible inevitability about the bombing in Charsadda, Pakistan, on Friday morning. Little about it is different from previous bombings. There is the same vicious tactic…a familiar target: hapless recruits to the underpaid, under-equipped paramilitary frontier corps. There is a familiar culprit…The only difference is that this strike comes after the death of Osama bin Laden. 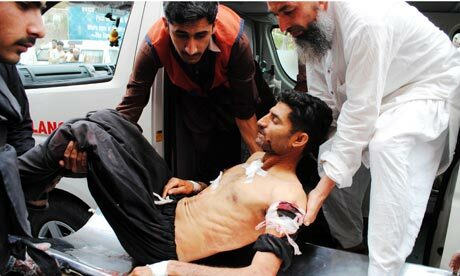 It is an attack, claimed in the name of Al Qaeda in effect, by Pakistanis on Pakistanis. As I watched images of injured young cadets on the news, I felt sick to my stomach. I felt sick because as this country goes up in flames, people are not protesting for the thousands of Pakistani lives lost because of terror attacks in the last few years alone. No. They are protesting violations of sovereignty committed by the Americans. They are pointing fingers at one another, shifting blame, searching for scapegoats. I am sick to my stomach. 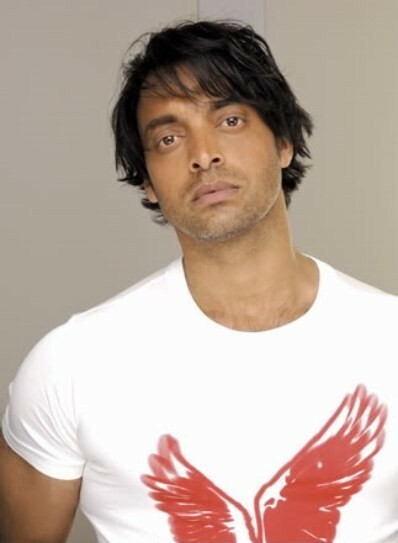 Shoaib Akhtar. Famous metrosexual. Likes pouting and t-shirt time. Forget the issue of extremism among Pakistan’s security forces. We have metrosexuals to worry about, people! Lock up the kids! They’re on the rise in our country’s most cosmopolitan cities! And you thought they wouldn’t be able to frame metrosexuality in light of the Taliban. Yet another thing to blame Veena Malik for, apparently. Yeh kya baat hui! Now people have a much greater disposable income because of all the banking reforms we’ve had over the past 10, 15 years where all of a sudden we have people being able to take loans, which was not a possibility in Pakistan before. And the other major influence is the fact that we now have a flourishing media industry. When you’re bombarded with all these new ideas, your consumption increases. The rise of said disposable income has apparently led to increasingly more men concerned with (gasp) personal hygiene and figuring out that comb-overs are not the only solution to bald spots! According to the AFP, hair transplants are on the rise in Pakistan, and a hair transplant surgeon (err, yes), “sporting a thick head of hair,” told the news agency that a former federal minister and Pakistani cricketer were among his clients. Michael Kanaan, owner of the Michael K Salon in Islamabad, noted that facials and manicures are also increasingly popular among men. He’s Lebanese too, mentioned the AFP, apparently indicating that this trend has been the result of a “foreign [well-manicured] hand.” Damn Lebanese and their French-sounding Arabic! But not to worry. Metros draw the line at accessories. David Beckham, your penchant for girly man sarongs and headbands have no place here! Pakistani metrosexuals instead prefer blush and lipstick, [see below]. And feeling pretty. (AFP) Getting ready for night on the town. In case you couldn’t tell by my blatant sarcasm, I found this article to be extremely ridiculous. Not only did the AFP inflate male vanity into an entire phenomenon, it lumped every man who cares about their appearance into said category. What, are metrosexuals our new force against the Taliban, armed with hair gel and hairdresser scissors? If militants got manicures, would their well-tamed cuticles lead to a decrease violence in Pakistan? I’m not even going to entertain that notion with an answer. Rehman Malik. Another famous metrosexual. Likes purple hair dye. Last August, while visiting a skill-building center in Pirwadhai (outside of Rawalpindi), I met a group of women from Swat Valley. Following the Pakistan military’s operation against the Taliban in Swat, these women and their families had been displaced from their homes, choosing to live with host families rather than in relief camps, falling through the aid cracks as a result. Prior to the operations, there were numerous stories detailing the deteriorating situation in Swat Valley, from the bombings of girls’ schools to the rising influence of the Taliban. The women I met last year mirrored the fear encapsulated in those pieces. One mother told me how her 16 year old daughter had not been to school in the past two years because of the bombings. Another woman related her fear that someone – militant or soldier – would bang on her door in the middle of the night. These women, bound by their collective plight, were also connected by another fear – they were all afraid to go home. Running water, electricity and school supplies are widely absent. The floods that ravaged the country this summer, and hit Swat especially hard, have only compounded the hardships and diverted money and attention away from reconstructing war-torn areas. But not everything is as it was. Soldiers now stand on street corners and at checkpoints. The jagged mountain trail leading to Bibi’s village of Ashar Band is strewn with the rubble of damaged buildings. Some 300 schools the Taliban burned in the region have not yet been rebuilt. Occasional attacks — a raid on a checkpoint last month wounded one soldier — remind residents that militancy is still a threat. One positive is that people like Saira Bibi are coming forward with their stories, sharing the brutality they suffered under Taliban control in Swat. These stories are significant because they provide a humanized perspective of life under the Taliban, a painful reminder of what women, children, and families endured, and what could occur again if we do not pay closer attention. Regardless of whether Swat is a headline tomorrow, or the region is a distant cry from Pakistan’s major cities, these stories show how important it is to restore dignity and honestly help rebuild lives. The CIA created, controls and pays for a clandestine 3,000-man paramilitary army of local Afghans, known as Counterterrorism Pursuit Teams. Woodward describes these teams as elite, well-trained units that conduct highly sensitive covert operations into Pakistan as part of a stepped-up campaign against Al Qaeda and Afghan Taliban havens there. In the words of Scooby Doo, Ruh roh. We have heard time and time again that the key to stability in Afghanistan lies in Pakistan. And so far, the U.S. has preferred drones in the air versus boots on the ground, walking a tenuous tightrope above Pakistan’s sovereignty. Drones have obviously been immensely unpopular, and reports indicate that the CIA has conducted 20 drone strikes in September alone, “the most ever in a single month and more than twice its monthly average.” [For more on drone strikes, see New America Foundation’s comprehensive coverage and map]. …that same history also shows that the U.S. can’t control those proxy forces. Splits within the mujahideen after the Soviet withdrawal (and the end of CIA cash) led to Afghanistan’s civil war in the 1990s, which paved the way for the rise of the Taliban. One of those CIA-sponsored fighters was Gulbuddin Hekmatyar, now a key U.S. adversary in Afghanistan. And during the 2001 push to Kabul, a Northern Alliance military commander, Abdul Rashid Dostum, killed hundreds and maybe even thousands of Taliban prisoners. He was on the CIA’s payroll at the time. Moreover, as Foreign Policy’s Josh Rogin noted, Woodward’s book “sheds new light on the Obama administration’s vast outreach to the Pakistani civilian government led by President Asif Ali Zardari,” considering its war effort contingent on the success and survival of this government. This, to me, is why this U.S. aggressive security policy is so problematic – on one hand, the administration has a vested interest in the survival of Zardari’s government. On the other hand, these security-related decisions that ultimately challenge Pakistani sovereignty and fan the flames of anti-American sentiment only further undermine this civilian regime. Regardless of the Pakistani government’s “very angry” statements following helicopter attacks and repeated drone strikes, the public sees the state as complicit in this U.S. policy, or, at the very least, too weak to truly challenge this strategy. In a country suffering from a recent flood disaster, a weakened economy, and political volatility, such policies ultimately breed further instability and rumors of regime change. The U.S. has often said the stability of Afghanistan lies in Pakistan. But that statement goes both ways. A report by London School of Economics has garnered a stream of news attention since its release yesterday, as well as some choice headlines, (The Sunday Times piece had my personal favorite headline, “Pakistan Puppet Masters Guide the Taliban Killers.” Seriously.) The report, written by Matt Waldman, a fellow at Harvard University, ultimately claims that Pakistan’s intelligence agency, the ISI, has a direct link with the Taliban in Afghanistan. The Taliban-ISI relationship is founded on mutual benefit. The Taliban need external sanctuary, as well as military and logistical support to sustain their insurgency; the ISI believes that it needs a significant allied force in Afghanistan to maintain regional strength and ‘strategic depth’ in their rivalry with India. I won’t go into an exhaustive post about the report, because frankly, it does point to assertions and suspicions that have been discussed and widely acknowledged for years – namely, that the ISI has supported insurgent fighters to fight proxy wars against India (Lashkar-e-Taiba for one), and the agency wants to maintain “strategic depth” in Afghanistan because of rising Indian influence in the country. For both the ISI and the Pakistani military, India is and always has been Enemy Number One. And while the military has gone against the “Pakistani Taliban,” militants that have been targeting the state and Pakistani citizens, a similar operation against the “Afghan Taliban,” (the Haqqani Network, Hekmatyar) has not exactly materialized, despite U.S. pressures. But does this mean that the ISI-Taliban link is part of an “officially sanctioned policy”? Even Waldman isn’t 100% sure. In an interview with Al Jazeera English, when probed by the anchor on what direct evidence he had to make such comments on an official ISI policy, Waldman answered, “Well of course Pakistan’s intelligence is not going to leave any evidence around…[but] the pressure and dependence [of these insurgents] on the ISI explains why they confided” in him for this report. Here’s an interesting question – are insurgent commanders and militants qualified to make grand conjectures about an intelligence agency’s “officially sanctioned” policy? Are they legitimate sources for a report of this kind, that is ultimately making very serious allegations against not just the ISI, but also President Zardari? If such claims and statements were corroborated by sources within the ISI or close to the agency, such a report could be very credible. But as Huma Imtiaz noted for the AfPak Channel, “reports like Waldman’s must be read with a grain of salt” even if it tackles many of the suspicions we all continue to have.